I'm not sure. Do you grow Peony 'Stardust'? If so, did you purchase it from Gilbert H. Wild? I wonder if they sell that variety. According to paeo.de, there seem to be 2 peonies that go by the name 'Stardust'. Are you referring the to Saunders hybrid or the Glasscock-Falk hybrid? The Saunders hybrid is described as yellow, and the pictures of the Glasscock-Falk hybrid seem to have a bit of pink, and my variety does not seem to have either yellow or pink in it. However the very last photo of the Glasscock-Falk hybrid on paeo.de does resemble the plant I have quite a bit. I will have to do some more investigation. If you scroll to the bottom of the page, you will see photos of Stardust in bloom which looks a lot like yours. Hmm... That does look very similar. Thanks for the link! That is actually my best guess right now (Peony 'Krinkled White'). 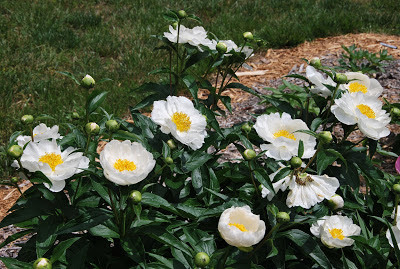 It looks very similar to the abundantly blooming peony growing in Don Smith's Louisville garden, which I think is Peony 'Krinkled White' as well. 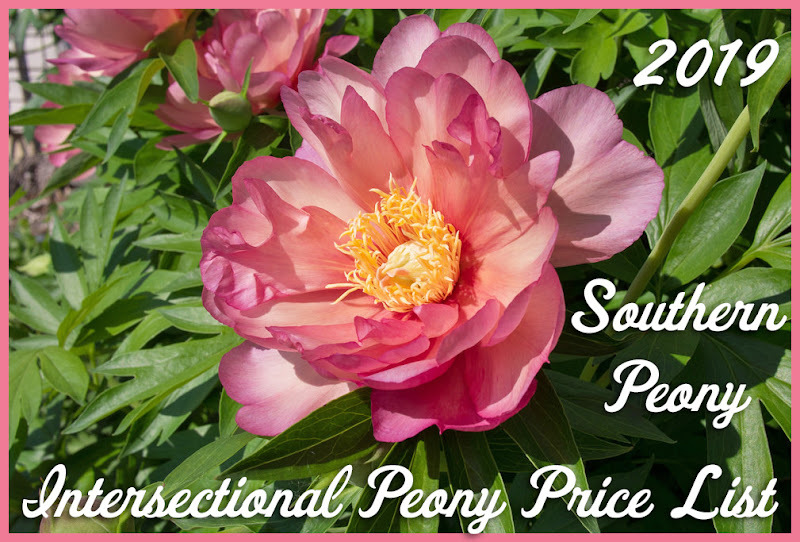 2019 Peony Hybridizing Season is Here! 2019 I Finally DID IT! My First Intersectional Peony Seedling-s! 2019 First Peony Bloom of the Season! Copyright Notice - No part of this website or any of its contents or photos may be reproduced, copied, modified or adapted, without the prior written consent of the author. 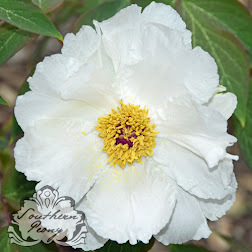 You may share this website by any of the following means: by providing a back-link or the URL of the content you wish to disseminate or you may quote extracts from the website with attribution to http://www.southernpeony.com. For any other mode of sharing, please contact the author.